Do we not have your favourite skin already? Request and customize your own skin for your phone! Any Phone Model Available. I have a question about my order what do i do? Click on the livechat button in the bottom right corner and one of our assistants will help you. also feel free to email support@cardsplug.com. We will aim to respond as quick as possible. Will you remove the background from my image? Yes all you have to do is provide us with the full image and the background will be removed by one of our professionals. How does it work? How long do cards take to make? How long does shipping take? 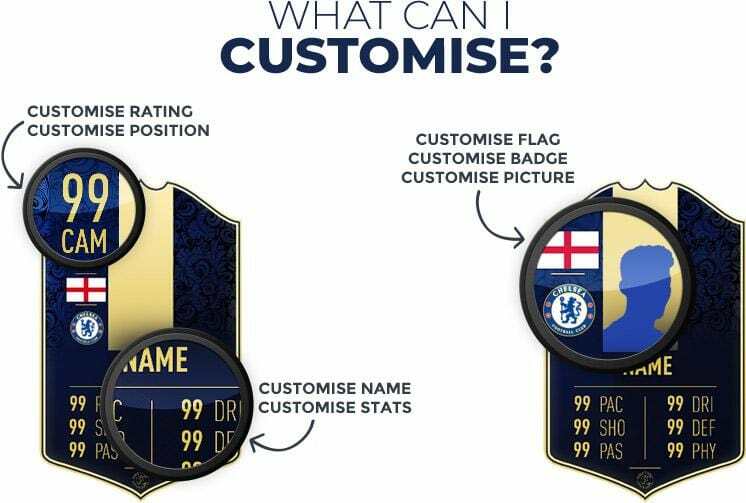 When you place an order you have two options, either a custom player where you provide the image and stats etc or a real player card. We will get the info provided and design, print, package and ship the card to you. However it can exceed 14 days due to any delays that can occur during the process or backlog of orders. 14 days has passed and my order is still not shipped and i have had no updates, should i be worried? No, no need to be worried at all this simply means we are still working on your card. We do state this can happen due to delays we may have, just wait for an email notifying you when its been shipped.